Free shipping over RM 80 purchase. 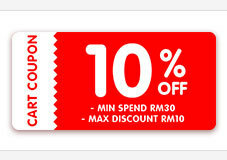 Shipping fee is free when purchasing above RM 80 in a cart. Received in good condition. Unfortunately not many colour choice n sizes left if not plan to buy more. Material is nice n soft. Workmanship is good. Will buy from seller again when required n hv good offers n new designs. Thanks. Highly Recommend Order 29Mar, received 31Mar, fast delivery, thin but worth the price paid. Order 29Mar, received 31Mar, fast delivery, thin material but worth the price paid. parcel recieved safetly .material not bad and nice. Can I know which part is stretchable and unstretchable?